When is it time for a total rebrand? This can be a tough question for any entrepreneur — especially when you might be busy and perfectly successful, but you’re noticing that some of what used to work before just isn’t cutting it anymore. Before you consider an entire rebrand, consider the signs below and if you’ve been experiencing the majority of them. 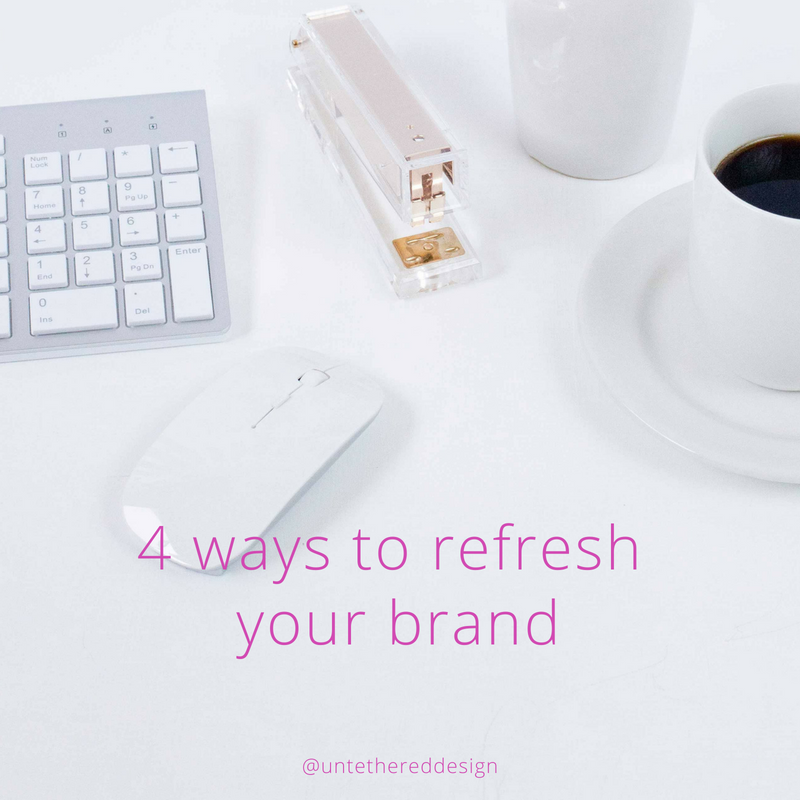 If you’re not experiencing them so much, but you feel like your brand could at least use a little refreshing (without the time and investment spent in a rebrand, check out this post first.) If not, keep reading! When you don’t love your logo anymore or want to show it off, it’s time to change things up. Maybe this is an identity that you used to like and has worked for years, but it doesn’t work anymore — and that’s OK. Creating a new face for your brand will set the tone for everything else — your colors, fonts, textures, patterns, social media graphics, photography and more — that will all work together well, be memorable and people will know and recognize that it’s you. Speaking of colors and fonts, does anything seem to match anymore? Are you using different templates, photography and graphics that just aren’t cohesive or represent your brand? Do you feel like everything is all over the place? 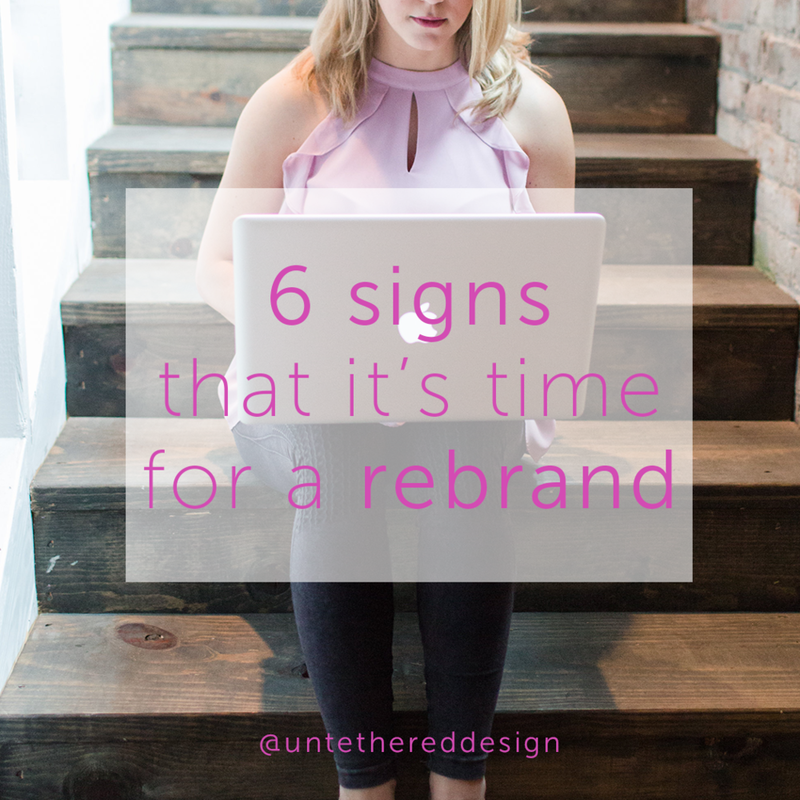 A rebrand will establish you with not only a new logo, but also a new color palette (primary and maybe even secondary ones) and at least 2-3 (no more than that, though) fonts to use for everything — throughout print and digital platforms. You’ve been everything to everyone. What services do you offer? Who do you enjoy working with the most? If your branding is all over the place, less than ideal people will want to hire you for services that you don’t want to offer anymore or even like doing. You won’t attract those you want to. But, if you have a brand that really speaks to what you’re about, who you serve and the specific services that you offer, you will filter out (for the most part) those who aren’t going to be a good fit for you. These are elements that should be in place and solidified even before you have visuals created. If these aren’t clear, then not much about your brand is. Who are you? What do you do? Who do you serve? What do you want to be known for? Once you can answer these, you’re more likely to have visual branding that complements your messaging and makes you stand out even more, especially in a saturated online market. Like your mission and values statements, if your business plans and strategies for running your business and getting clients changes or is non-existent, it impacts your entire brand in a huge way. Be clear on where you hang out, where you want to be seen, who you want to attract, how you want to work with clients, how you plan to deliver services and products (and get paid) and more. Again, once that is reestablished, your new visual branding will more easily be created and implemented.